Halifax, NS – Symphony Nova Scotia’s 2015/16 Annual General Meeting, held September 26, 2016 at the Dalhousie Arts Centre, reported a very strong season, with record ticket sales and donations, high audience turnout, and a number of artistic successes. “Symphony Nova Scotia’s 2015/16 season was stellar,” says Christopher Wilkinson, CEO of Symphony Nova Scotia. A major success in 2015/16 included an increase of 17% in private sector revenue, including individual donations, corporate sponsorship, and funds transferred from the Symphony Nova Scotia Foundation. The orchestra also saw an increase of 6% in ticket revenue over 2014/15, following increases of 17% and 19% over the previous two seasons, respectively. Throughout the 2015/16 season, which ran from September through May, the orchestra sold almost 39,000 tickets, an increase of 9.5% over the previous season. Symphony Nova Scotia also saw a high level of artistic success throughout the 2015/16 season. A special donation from Symphony supporters and local philanthropists Margaret and David Fountain allowed the orchestra to perform with the world-famous Vienna Boys Choir, in a hugely popular concert that sold out three weeks after going on sale. The orchestra also appointed the JUNO-Award winning composer/conductor Dinuk Wijeratne as its new RBC Composer in Residence, a position supported with funding from RBC’s Emerging Artists Project. Another artistic highlight for the orchestra was winning an ECMA for Classical Recording of the Year for its recording with Canadian composer Tim Brady, titled The How and the Why of Memory. 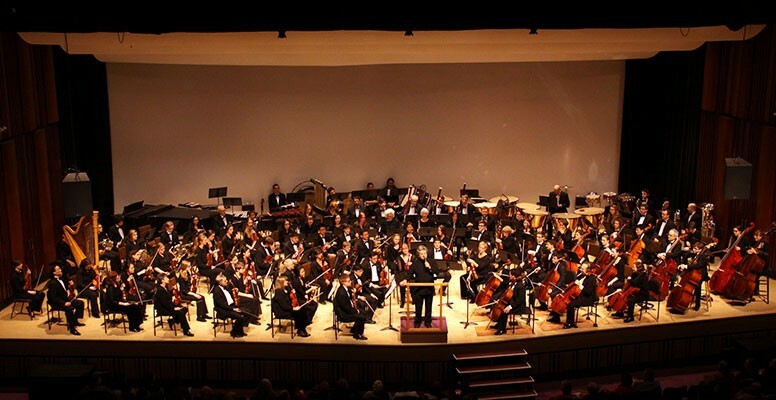 The Symphony also continued to present a wide variety of community outreach programs throughout Nova Scotia, including its popular school concerts, student matinees, and free concerts. The free Family Series saw another highly successful year, with over 1,800 attendees creating filled-to-capacity audiences for each of the six performances. The orchestra also presented the participatory Link Up program for the second year in a row, welcoming over 1,200 students from 24 schools in Halifax, the South Shore, Chignecto Central, and the Annapolis Valley school boards to play with the orchestra at the Rebecca Cohn Auditorium. Another highlight in 2015/16 was the ongoing success of the Symphony Nova Scotia Foundation, which is currently valued at $12 million. Thanks to careful management by the Foundation Board, including Chair Dale Godsoe, treasurer Alan Barkhouse, and secretary Tim Matthews, the Foundation’s transfer of $599,000 in 2015/16 was an important factor in the overall financial success of the season. The Symphony continues to focus on building and strengthening the endowment for the future. Challenges faced in 2015/16 included a continued decline in public sector support, and the loss of the orchestra’s long-serving Pops Conductor Howard Cable, who passed away in March 2016 at the age of 95. The orchestra will present two concerts in November 2016 in Howard’s honour. Symphony Nova Scotia’s full Annual Report and financial statements are available for viewing on Symphony Nova Scotia’s website at symphonynovascotia.ca/About/Financial-Information. Symphony Nova Scotia is Nova Scotia’s orchestra. Each year more than 50,000 audience members (including 15,000 young music lovers) join us in communities across Nova Scotia for performances of the music they love – from baroque and classical to pop and rock and folk. Under the inspirational leadership of Music Director Bernhard Gueller, Symphony Nova Scotia is one of the most broadcast orchestras in the country, with over 20 commercial releases and multiple East Coast Music Awards. Visit symphonynovascotia.ca to learn more, listen online, or get tickets today!